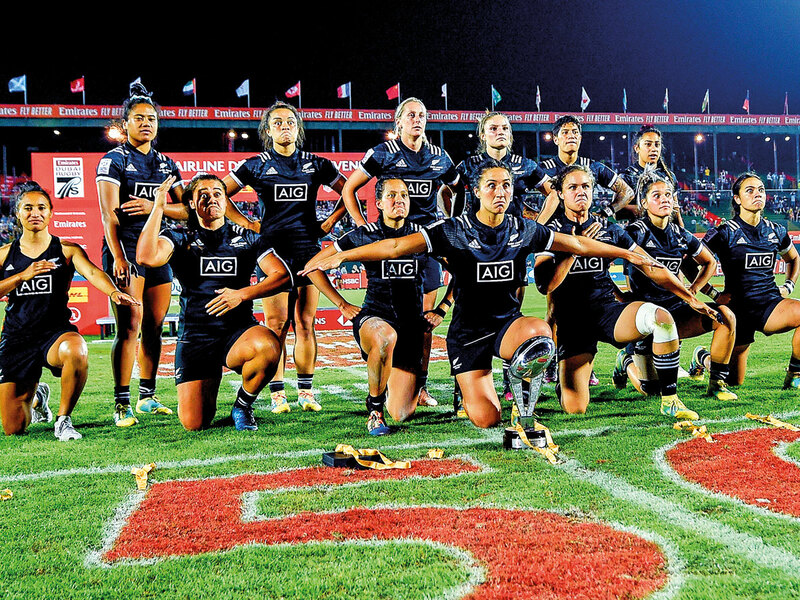 Dubai: There will be one big party in New Zealand next weekend as the Black Ferns Sevens get together for a two-day celebration to mark their success in Dubai. Allan Bunting’s unbeaten side are planning a huge get together for the entire squad with skipper Sarah Goss wanting to further build up on the dynamics of the team. “For sure, this one [Dubai win] is very special. We wanted to mark this with something memorable and we thought why not have a get-together for all the players and their families next weekend,” Goss told media after Friday’s triumph. “To be able to take this trophy home is a great achievement for us all. The players have put in a lot of hard work and sacrifice and it would be more meaningful to share this success of starting the season so strongly with all our families and friends,” she added. Goss was the pillar for the Black Ferns Sevens as they redeemed lost pride with a well-contested 24-14 win against Canada in Friday’s final at The Sevens. Friday’s triumph was the fourth success for the New Zealanders in Dubai following titles in 2012, 2014 and 2016. The team has dominated the Women’s Sevens Series since its creation in 2012. They are the current Sevens world champions, having beaten Canada in the Rugby World Cup final in Moscow in 2013. What was more remarkable is that with the Dubai title, the New Zealanders have extended their winning streak to 39 games and have now won their last five tournaments, including the Rugby World Cup Sevens and the Commonwealth Games. After two events of the 2018-19 calendar that doubles up as an Olympic qualifier, New Zealand sit pretty at the top with crowns in Glendale and Dubai to earn a maximum of 40 points. The third round of the series will be in Sydney followed by stops in Kitakyushu, Japan and Langford, Canada and the last round in Paris from June 7-9. This year’s schedule also doubles up as an Olympic qualifier for Tokyo 2020. “We knew we wanted to start the series really well with Olympic qualifying in the distance. And starting off with this win sets us up so well for the remainder of the year,” Goss said. “Our coach [Bunting] is pretty amazing at the moment and we have a great bunch of girls. Everyone wants to just fight for each other. Everyone wants to just go out there and play the best that they can and that’s pretty special to have this bond that we have,” she added.